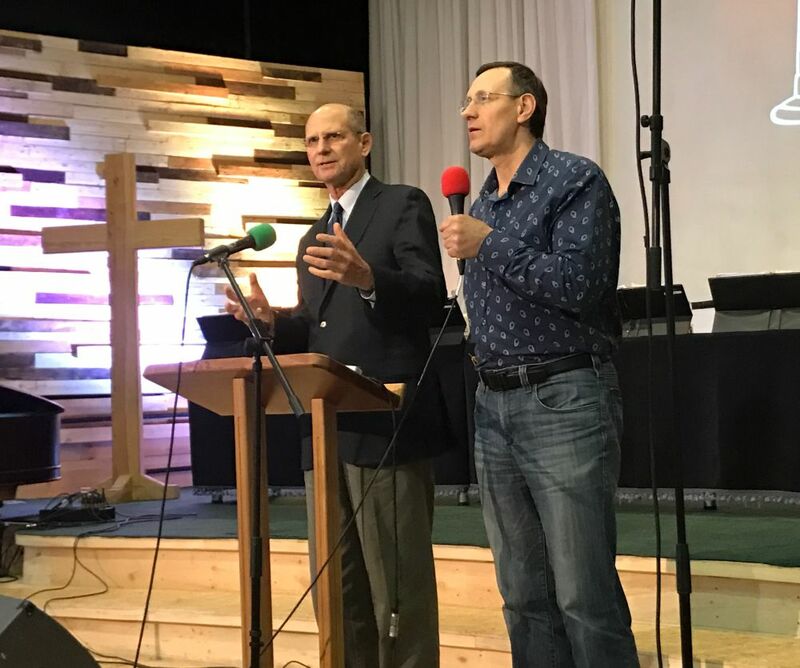 Seventh-day Adventists from around the world descended on a Ukrainian college campus to finalize local plans for an enormous evangelistic endeavor that church leaders hope will spread across Europe. On Friday evening, 500 evangelistic meetings will kick off in Ukraine, and hundreds more across the former Soviet Union, as part of Total Member Involvement (TMI), a world church initiative that encourages every church member to share the gospel in their communities. More than 2,000 meetings will begin a week later in Romania and elsewhere, followed by a third wave and a fourth wave of meetings across Eastern Europe. In all, more than 4,300 sites will host evangelistic series in eight countries: Armenia, Belarus, Bulgaria, Georgia, Moldova, Romania, Russia, and Ukraine. The evangelistic meetings are patterned after a combination of prayer, Bible study, community outreach, and preaching that resulted in a record 110,476 baptisms in Rwanda last year. But church leaders are not seeking a large number of baptisms at the conclusion of the East European meetings. In Romania, for example, guests will be invited to attend Bible studies and the first baptisms may only take place in June. 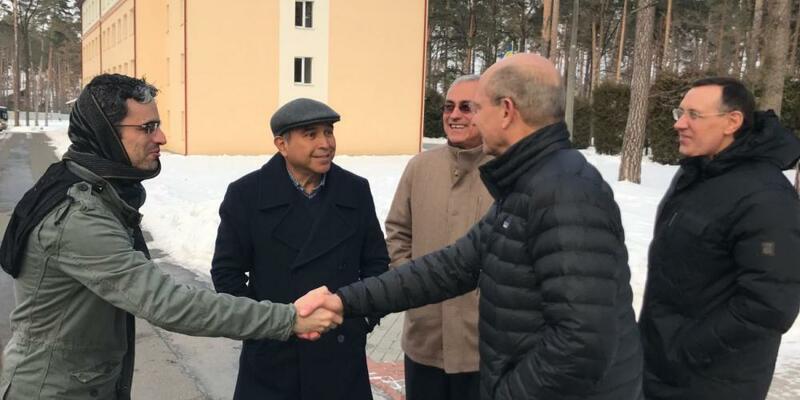 In the former Soviet Union, a vast territory with only about 113,000 members, church leaders hope the evangelistic meetings will re-energize local churches. “This is a good opportunity to encourage people to get involved and to preach,” said Michael Kaminskiy, president of the church’s Euro-Asia Division, whose territory covers much of the former Soviet Union. Reinvigorated members are needed because some churches in the division have not had a single baptism in the past year, he said. To that end, the Euro-Asia Division will organize meetings at 2,150 sites, mostly in February and March but some as late as May, Kaminsky said. Of those meetings, 1,000 will be in Ukraine and another 700 in Moldova. In addition, 2,017 meetings are planned for Romania in February, said Ștefan Tomoiagă, president of the Adventist Church in Romania. Among those who will preach in Romania are Wilson and his wife, Nancy, who will have their own sites. Nancy Wilson, who also preached in Rwanda last year, will lead an evangelistic series at a predominantly Roma church in Romania’s capital, Bucharest. “You don’t need to be an ordained minister or any kind of official to preach and share Jesus Christ,” Ted Wilson told the orientation meeting. Among those in attendance were 22 teams of lay evangelists from as far away as Mexico, Argentina, and the United States. Wilson said in an interview that Adventists have been able to reach out to their communities in marvelous ways in Western Europe, but secular and materialistic challenges can be discouraging at times. He said he hoped that the TMI spirit showcased in Eastern Europe this year would spill over to Western Europe. Addressing the orientation meeting, Wilson pointed to a passage from Ellen White’s “Testimonies to the Church” Vol. 9 to emphasize that lay people will be key in spreading the gospel. The text reads, “The work of God in this earth can never be finished until the men and women comprising our church membership rally to the work and unite in their effort with those of ministers and church officers” (page 117). Middle Eastern Man Embraces Ellen White as God’s Prophet A young man falls in love with Ellen White books through a free literature stand in an empty church.